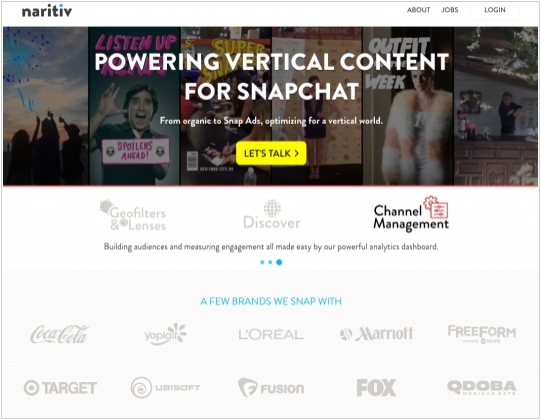 Hootsuite, a platform that helps enterprises and brands manage their presence on social media, has acquired a Snapchat analytics solution from Naritiv to help customers track their activities on this social platform. Hootsuite today allows its customers — 15 million in total, with “hundreds of thousands” taking the paid tier of service — to manage social media across dozens of sites, from Twitter (where Hootsuite first got its start) and Facebook through to LinkedIn and many more. Today’s acquisition signifies Hootsuite’s first move to bring Snapchat into that fold. Social media management provider Hootsuite acquired LiftMetrix, a social analytics vendor. The company said the acquisition complements Hootsuite Analytics, its existing social media metrics dashboard, and Hootsuite Insights, the social listening platform. Until now LiftMetrix provided an app for Hootsuite that allows to calculate social media ROI based on specific marketing objectives, taking into consideration costs and inputs. 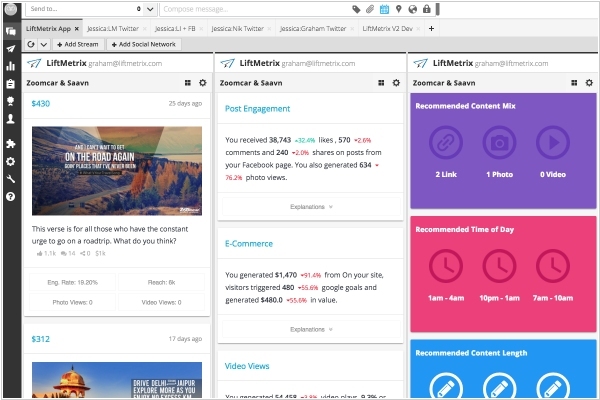 So marketers can determine which posts generate the most value as determined by engagements, conversions and revenue within Hootsuite through the LiftMetrix engine. 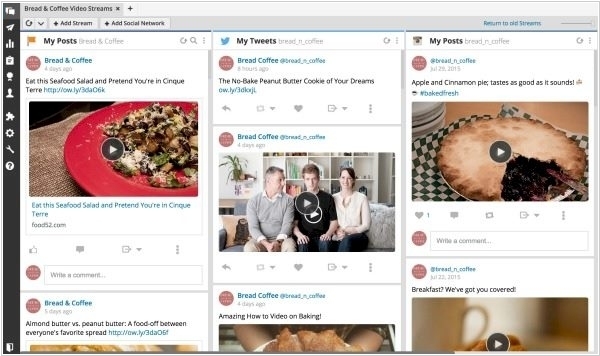 Social media management platform Hootsuite has acquired AdEspresso, a company that has built a set of tools to create, A-B test, and post advertisements on Facebook and Instagram. It will sit in a relaunched version of Hootsuite Ads, first introduced in 2015, but the primary aim will be to use it to augment and boost views for other social media posts that marketers are creating. This is part of a much bigger (and sometimes controversial) trend: content these days is appearing on social networks both organically, but also in the form of promoted, paid ads in order to get more visibility. 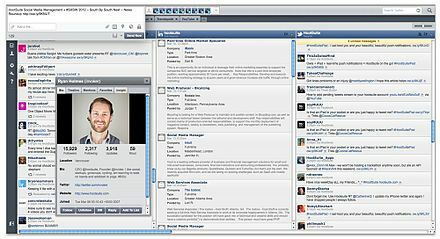 Social media management provider Hootsuite launched native integrations with YouTube, Facebook, Twitter and Instagram. The new native YouTube integration allows organizations to respond faster to fans and followers by monitoring comments in streams with other social networks, he said. It also allows them to assign social tasks and responses. Users can also upgrade to YouTube Analytics to gain insight, on a per video basis, into engagement levels, trending content, content discovery methods, playbacks, countries and sources of traffic, plus channel subscriptions, demographic and geographic information. Hootsuite is also enriching its existing integrations with Twitter, Facebook, and Instagram by now allowing users to schedule and post videos to their profiles across those channels. 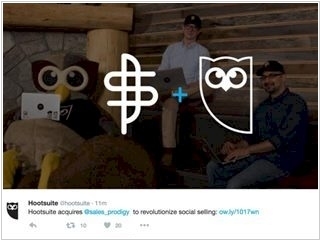 Social media marketing provider Hootsuite is expanding its toolset for sales executives through the acquisition of Sales Prodigy. Sales Prodigy's mobile app, which can help sales professionals build relationships with prospects on platforms like Twitter and Instagram. It syncs with CRMs like Salesforce and HubSpot, does the social searching for the sales agent based on programmed keywords and also helps sales agents become part of the social conversation with relevant messages. The news comes six months after Hootsuite debuted another social selling app. It claimed then that its mobile employee advocacy application, Hootsuite Amplify, makes it easier for employees to share and consume their company's content on social channels.